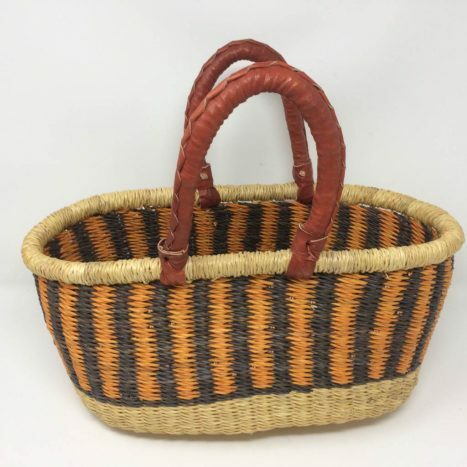 These lovely bright and practical shopping baskets come in two shapes. 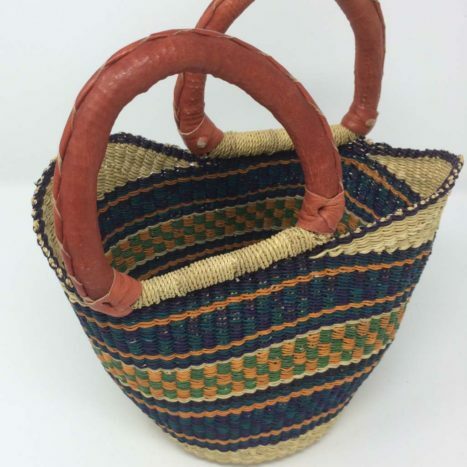 The more traditional oval shape and the “shaped” shopper. 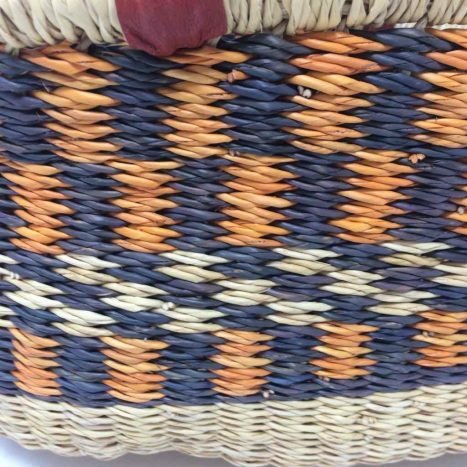 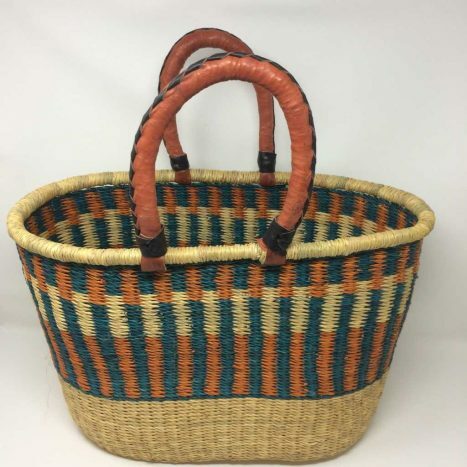 Both are beautiful baskets, strong and sturdy with leather handles, and hold an awful lot of shopping! 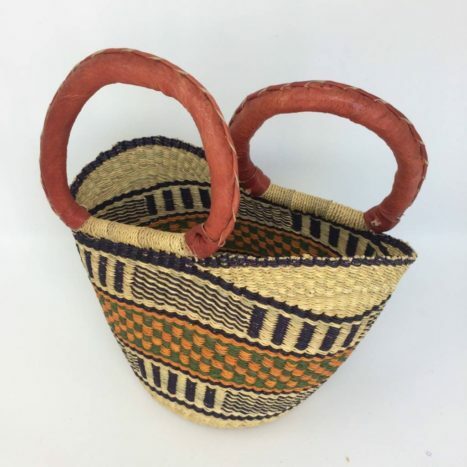 These baskets are supplied by Geolicrafts in Northern Ghana. 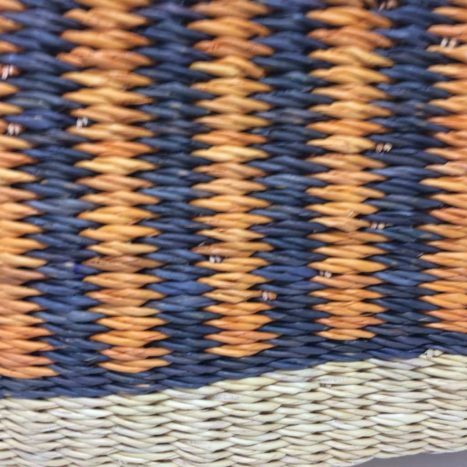 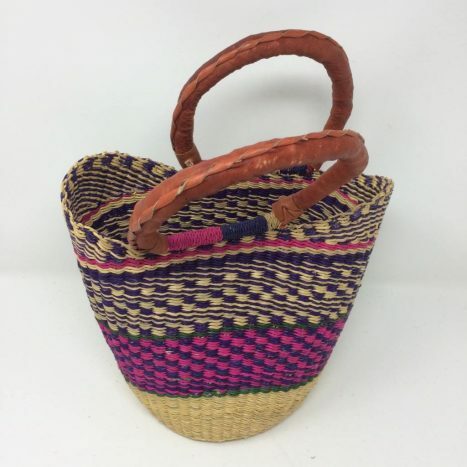 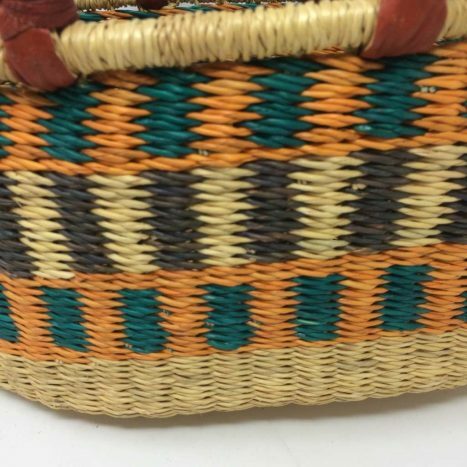 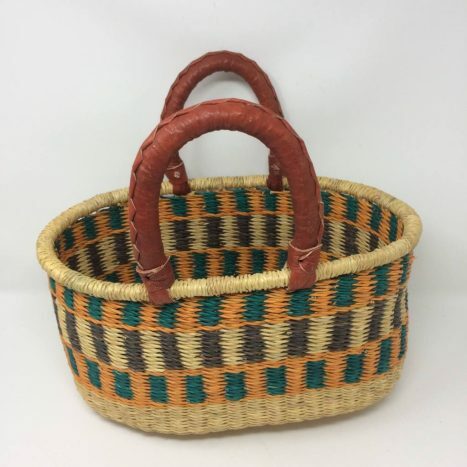 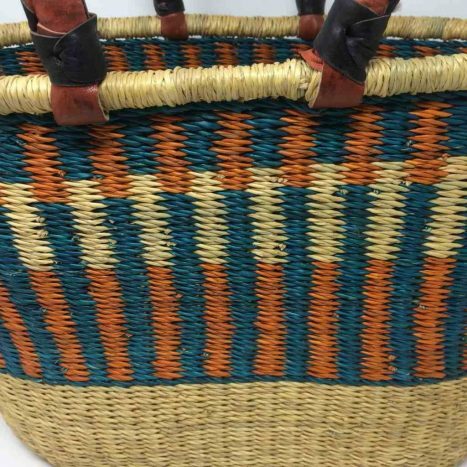 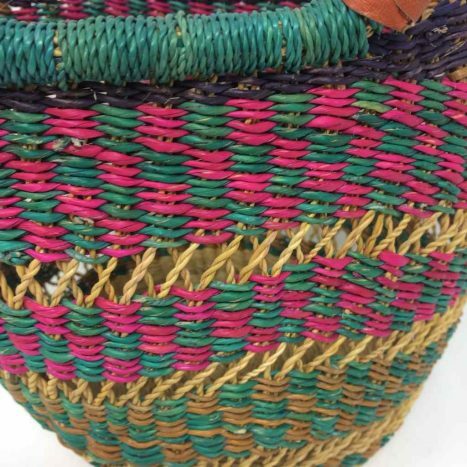 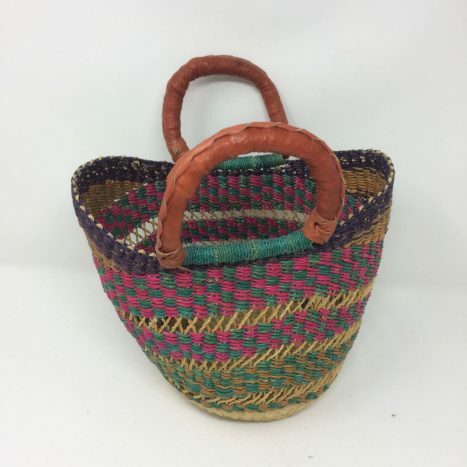 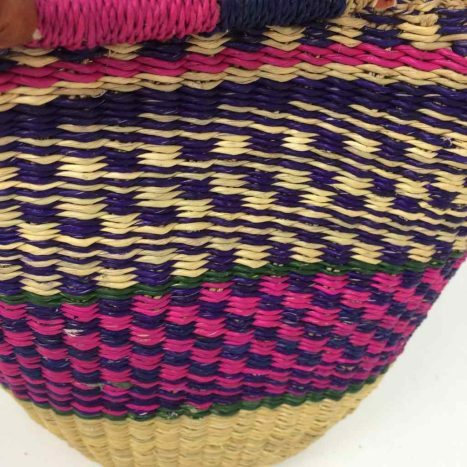 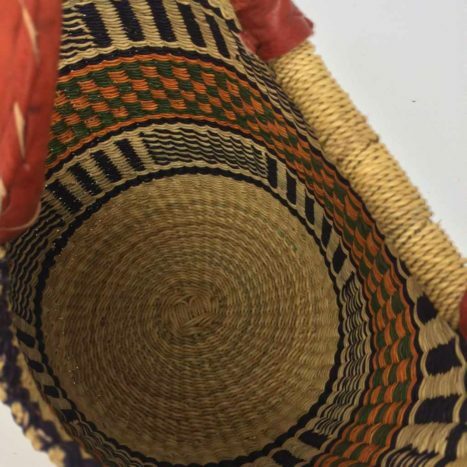 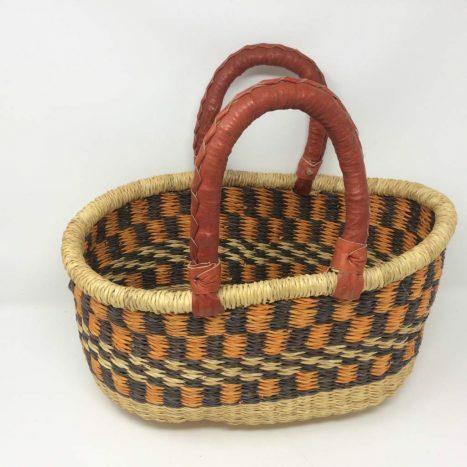 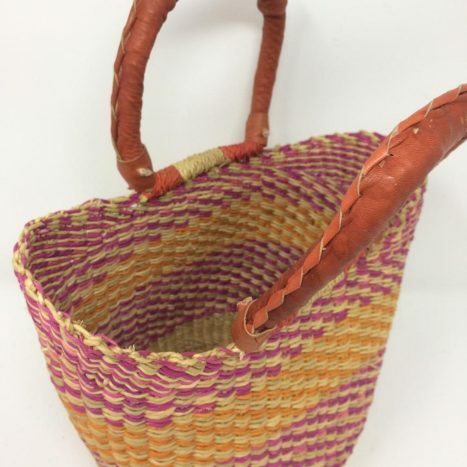 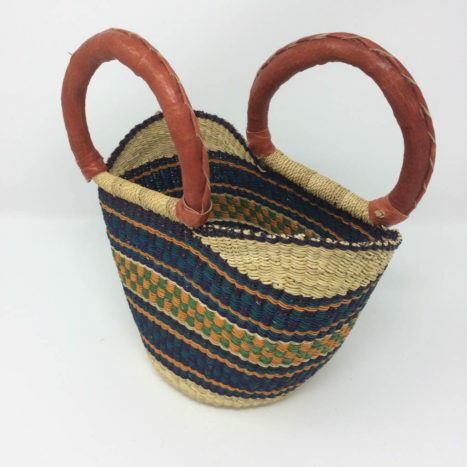 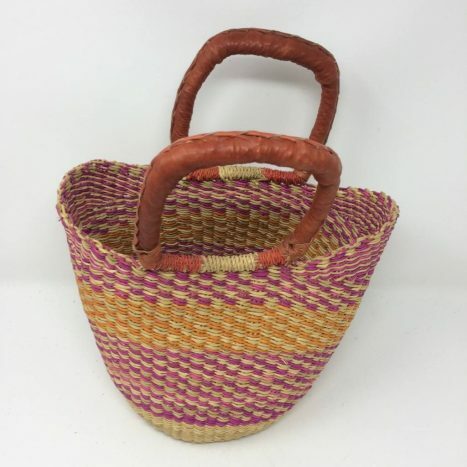 Like all our African baskets they are not only beautifully decorative but also a great utility item and perfect for storage of so many things around the house.